This is a perfect Denby stoneware Twilight 4" milk jug, and a matching 3.25" across sugar bowl. These lovely bowl and jug are in excellent condition and look like they have not been used or have had very light use. A Denby lidded sugar bowl from the Greenwich set. The sugar bowl is in excellent condition and marked Denby on the base. Denby Chevron Sugar Bowl With Lid . Condition is Used. Dispatched with Royal Mail 2nd Class. Denby stoneware Teapot Jug Sugar Bowl Set. Condition is Used but excellent. Dispatched with Royal Mail 2nd Class. Denby Boston Lidded Sugar Bowl & Large Milk/creamer Jug. Teal Denny sugar bowl in perfect condition. Dispatched with Royal Mail 2nd Class. 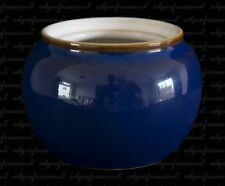 Denby Blue Jetty Sugar Bowl. 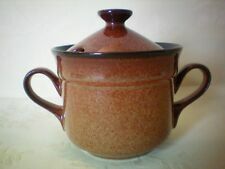 Denby Pottery Greystone Pattern Open Sugar Bowl in Stoneware excellent condition. Dispatched with Royal Mail 2nd Class. Beautiful condition set. Denby Storm Milk Jug & Lidded Sugar Bowl Set VGC. Condition is Used. Dispatched with Royal Mail 2nd Class. 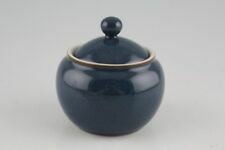 Denby Colonial Blue sugar bowl excellent used condition with no chips or cracks. Please feel free to browse my other items as I always endeavour to combine postage. I specialise In Denby Online and if do not have a specific item you are searching for, just let me know and I will help you in sourcing it. I live close to the Denby village in Derbyshire and am in a good position to procure items in the locality. They are 1st quality Denby Stoneware, made in England and are in the Troubadour pattern which was produced from c1971 and discontinued in c1984. They are oven, microwave, freezer and dishwasher safe. DENBY GREENWHEAT LARGE OPEN SUGAR BOWL. Backstamped: Denby. Size approx: 4" dia x 2.5" tall. Condition Guide. DENBY ARABESQUE. 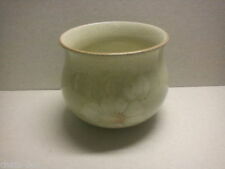 1 x sugar bowl which has a small chip(see photo). Denby Greystone Open Sugar Bowl (unribbed) Excellent condition no chips, cracks or crazing. A lovely Denby Greenwheat Large Sugar Bowl in excellent condition. A two tone lidded sugar bowl from the Denby Cinnamon range of tableware. In perfect condition with no cracks to either the bowl or the lid. Price is for 1x denby boston. Production of this pattern continued until the late 1970's. 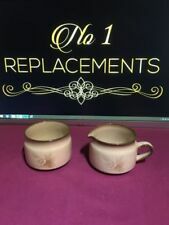 Denby Greenwich - Milk/Cream Jug & Lidded/Covered Sugar. Denby Greenwich milk/cream jug & lidded sugar bowl. Back stamp may vary. 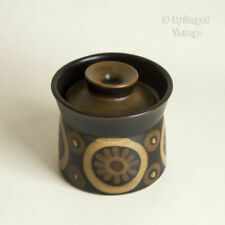 Item:Sugar Bowl - Lidded (Tea). Pattern:Imperial Blue. Size approx: Jug 2.5" dia x 4" tall & Bowl 3.5" dia x 2.75" tall. Quantity: 1no jug & 1no bowl. Condition Guide. Excellent Condition with only a few very light marks associated with age and use. The jug is approx 3.5" high. Collection from the Salisbury area. A lovely Denby Normandy Sugar Bowl in great condition. BOURNE DENBY SUGAR & MILK JUG. JUG IS 3.25" x 2.25" ACROSS TOP APPROX. MANOR GREEN. Item:Sugar Bowl - Lidded (Tea). Pattern:Regency Green. LUGGED SUGAR BOWL. 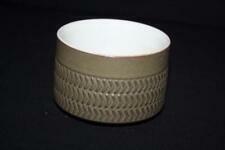 DENBY STONEWARE.